I’m indulging in another simple day to report with a short entry. We got to sleep in (I still got up at 7:15am) at the Tasmanian Inn for our second morning and took advantage of the free continental breakfast. We really like it there and booked it for our final night in Hobart before we fly out in 11 days. It was nice to relax and we got a late checkout of 11am since we had nowhere to be today. 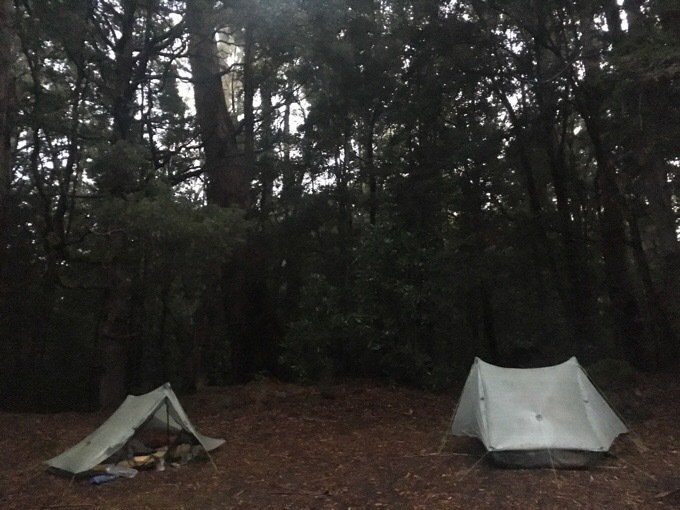 This is the last day of rain in the Arthurs Range, where we will be hiking, so our goal for the day was to resupply for our remaining days and then drive out 3hrs to the campground at the trailhead where we will start the Western Arthurs Traverse. 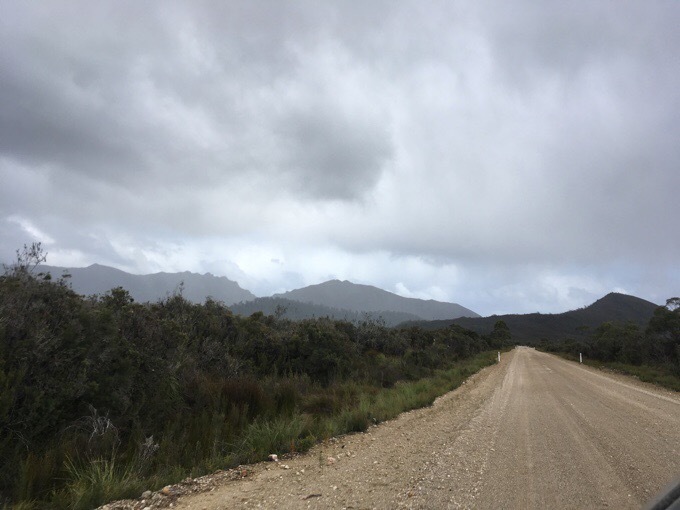 It was a nice drive, and the clouds were just high enough to see the rugged mountains in one of the more remote backpacking areas in Tasmania. We got to the campsite around 3pm, did a few basic chores to prepare for this challenging traverse, and got to relax as it rained on and off into the evening. The most important factor on this rugged and exposed route is that weather is clear. It should take us five days to do the traverse, and we’ve been logistically waiting for the weather window to open up. Fortunately, it has, and no rain is forecasted for the next week. However, it is quite chilly with temps in the 40sF/6C the next two days before it warms slightly. We will gladly take some colder weather over rain, so we are grateful to be able to fit this hike in before we leave. It will be quite challenging with rugged terrain that will be at a much slower pace with some rock scrambling and plenty of mud and brush, but it’s said to be well worth the effort and very rewarding. We are looking forward to it and are quite up to the challenge. It’s been nice to relax these last few days knowing this was coming. Today I did do a marathon, but not one that required any physical exertion. I watched five episodes of Downton Abbey and was fully entertained. It was hard work, but I pulled out that fifth episode early enough to still get to sleep before 9:30pm. 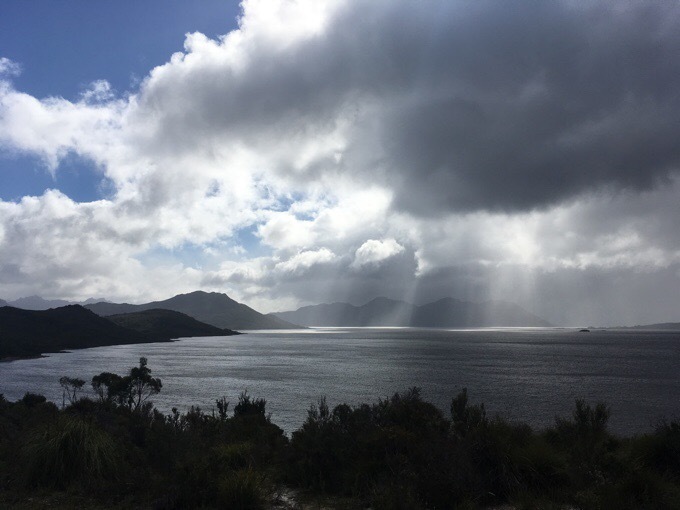 It’s been a nice break, and tomorrow, it’s out into the most challenging hiking we’ll do in Tasmania. Get pumped! Glad to hear that you busted through “the wall” of 4 episodes to make it through 5 to complete your marathon. Hope you have a hike with “perfect” weather! Haha! It was tough, but I had Oreos to get me through the last one. Good luck Erin!! Hope this is a grand finish to your 3/4 year worldwide thru hike! 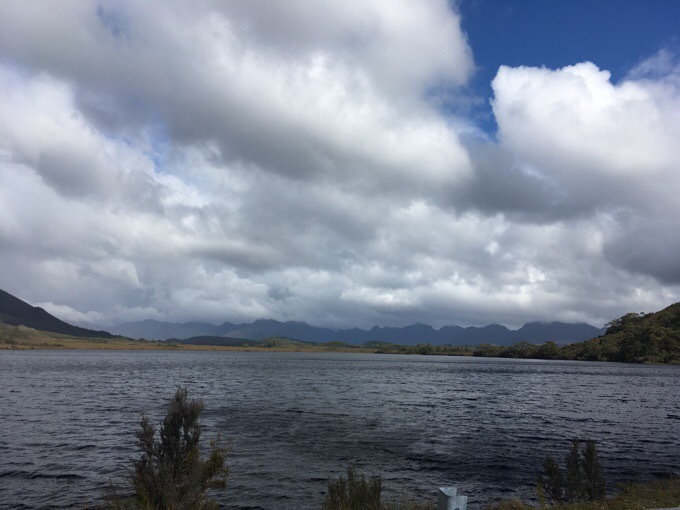 May you have blue skies, seeping views and energizing terrain on your last journey thru Tassie! Last journeys that is, one more to go- Mt Anne, hope these last days are epic! Here’s hoping the rain and weather cooperate for your last days. Can’t believe you’ve been away for so long. Enjoy every last moment!! I also hope for great weather. Sounds like you will be loving that fleece layer. I agree with Warren, can’t believe how long you’ve been out there.. but it has gone all to swiftly for those of us enjoying all the blogging. I have survived your breaks before, and will again and that is life, but I sure have enjoyed THIS marathon and have loved every minute. Aw, yes this will be a year to remember for sure. The fleece saved the trip!